Assistance to vehicle offers peace of mind through a 24-hour contact centre that will dispatch the appropriate services in the event of a roadside emergency. Europ assistance shall consider an on-site repair to be any assistance provided that enables the Customer to continue their journey without the Vehicle having to be towed to a repair shop. In the event of the immobilization of the Vehicle due to mechanical or electrical breakdown, and as long as the said problem can be repaired at the place of immobilization within a reasonable amount of time, Europ assistance will proceed with the repair of the Vehicle, paying for the labor and traveling expenses of a a Europ assistance-approved mechanic.This coverage excludes the supply of parts and other materials. The assistance will be provided on-site (e.g. in a parking lot, roadside) when the Vehicle cannot be transferred under its own power to the nearest repair. If the Covered Vehicle does not start due to the battery being dead, Europ assistance shall provided a Europ assistance-approved technician to recharge it. If the Covered Vehicle runs out of fuel, the Customer may request Europ Assistance to provide up to 20 liters of fuel, with Europ assistance reimbursing the Customer for the cost. If the Customer is unable to source fuel, Europ assistance shall tow the vehicle to the nearest gas station. Should the cause of the fuel problem require the vehicle to be repaired, EUROP ASSISTANCE shall tow the vehicle to the nearest dealer at own cost. 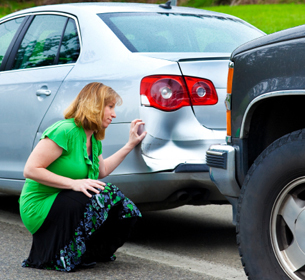 If the Covered Vehicle has a punctured tire, Europ assistance shall replace it with the spare, using a Europ assistance-approved technician to do so. Should the Covered vehicle require cooling liquid, Europ assistance shall deliver the necessary cooling liquid to the Costumer at the costume's cost. In the event that the Vehicle is unable to be driven due to breakdown or accident, Europ Assistance shall arrange towing at its expense. If while traveling on a sealed road, the Vehicle were to be unable to be driven due to having overturned or fallen down a slope, Europ Assistance will arrange for the retrieval of the vehicle. "This is the Care Revolution"
Prefer to be contacted? Indicate your e-mail adress and we will contact you. Europ Assistance Travel Services (Beijing) Co., Ltd.